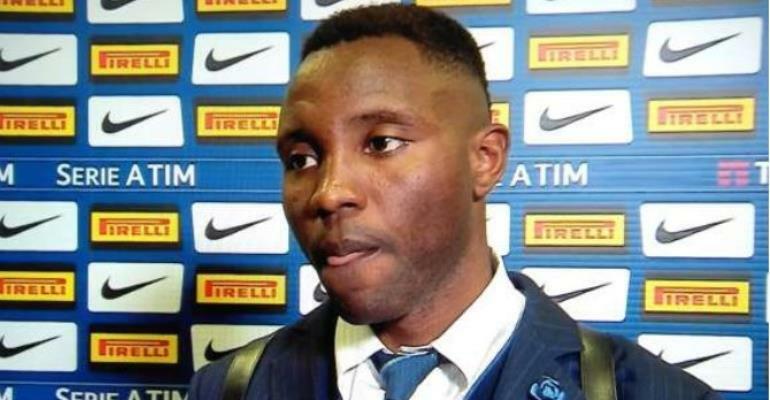 Inter Milan ace, Kwadwo Asamoah has implored his teammates to improve their performance in order to book UEFA Champions League berth following their Sunday's draw with Atalanta. Inter's hopes of boosting their bid for a Champions League spot hit a snag after their disappointing goalless stalemate against the Bergamo-based outfit at the Stadio Giuseppe Meazza. The match came four days after Luciano Spalletti's outfit handed Genoa a 4-0 defeat to boost their quest. "Everyone had a good game against a team that is difficult to face because they ask a lot of you in on-one-on situations and press hard," Asamoah, who played the full 90 minutes, said as reported by his club's official website. "In the first 20 minutes, we created loads [of chances] but we weren’t able to break the deadlock. "I think however that we can improve further. "It’s not easy to play every three days." Inter will hope to make amends when they play away to Frosinone in their next game on Sunday. "Every game is hard, Frosinone won in Florence and we know it won’t be easy, they’ll be playing at home. "As I said, it’s important for everyone to be available for the coach so that we can make the Champions League." Asamoah has made 25 league appearances involving 23 starts for Inter so far this season.